Title rivals Manchester City closed in on the gap with a 3-1 victory against Arsenal which left the difference to just two points now. Premier League side Liverpool will take to the field against West Ham United on Monday with the aim to increase the gap at the top of the table. Title rivals Manchester City closed in on the gap with a 3-1 victory against Arsenal which left the difference to just two points. England’s top-flight football league has been witnessing a two-horse race for the title where Pep Guardiola’s City are battling it out against Jurgen Klopp-led Reds. Defending champions Manchester City held the lead for quite some time at the top position but faced slumps toward the end of the first half of the season. Liverpool capitalised on the occasion and have been on top since then. Last week, Guardiola’s men were stunned by a lowly Newcastle United but the team displayed character to return with a victory against the Gunners. 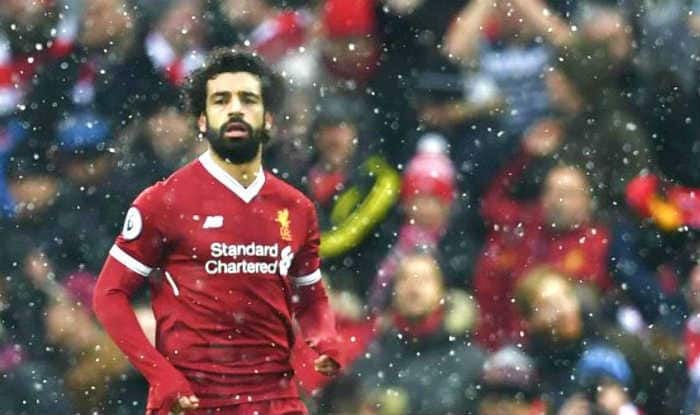 Liverpool’s winning run has been bolstered by the flying form of Egyptian international Mohammed Salah, who has registered 16 goals so far in the league. The 26-year-old had won the Premier League golden boot and player of the season in last year’s campaign. This year, he aims to emulate the same after a slow start to the campaign. On paper, Liverpool are clear favorites against London-based West Ham United. The underdogs f the night are well-capable of pulling off a shocker and with the new recruitment of midfielder Samir Nasri, they have a player who can create the goal-scoring opportunities for them. All the focus will be on the conversion rate for the Hammers as they take on the mighty Kops in what is set to be an exciting fixture.